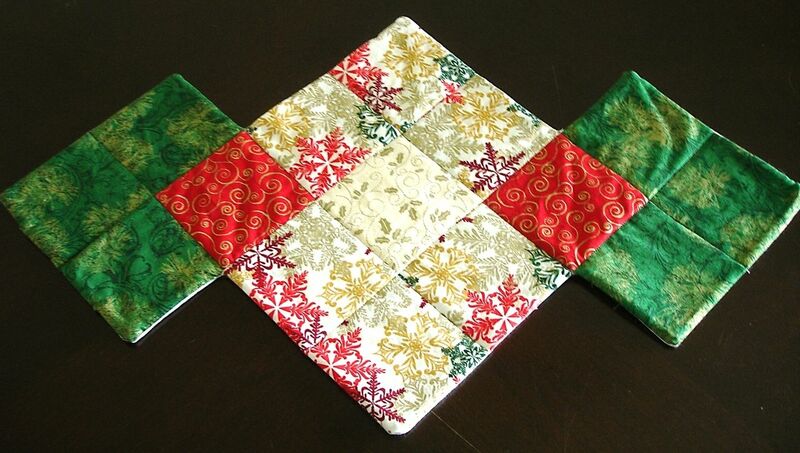 This placemat, which doubles as a small runner for coffee or end tables, measures 24.75" long and 14.75" wide at its widest point. 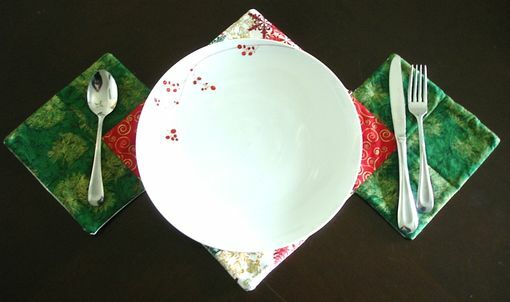 The dimensions are established so that it disappears and becomes unintrusive under your dinnerware. 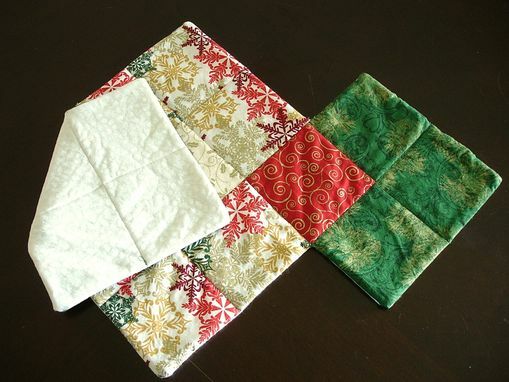 All fabric is 100% cotton quilter's grade, and the batting is 100% cotton Warm and Natural. Machine pieced, machine quilted. Price quoted is for one placemat / small runner.